Sölden is a municipality located in Austria's North Tyrol and is the second most visited tourist destination in the nation, after Vienna. There are several million vacationers each year who spend their holidays here, in winter or summer. Sölden is situated at 1300 meters of altitude and is at the foot of Wildspitzel, the second highest mountain in Austria. Here are held many races of the downhill skiing World Cup, but for lovers of cross-country are available throughout the district, over 150 kilometers of ski loops. The ski areas are those of the Ötztal Valley, including Sölden, with slopes suitable for all levels of difficulty. In the valley, among the most interesting spots for skiing, there are Rettenbach and Tiefenbach glaciers, and the entire area Giggijoch-Gaislachkogel . The lifts are ultra modern: 5 gondolas, 22 chair lifts (3 over the glaciers) and 16 ski lifts (7 over glaciers). In summer you can ski between 2800 and 3000 meters over 30 kilometers of ski runs covered with snow. The most famous slopes are the Big3, at 3000 meters, on the glaciers. After a day on the slopes, the pulse of Sölden is Alpenbad space, where there are swimming pools, tennis courts, saunas, gyms, ice rinks, sports, cinema. Despite the presence of modern hotels, wellness and fitness centers, clubs and trendy nightclubs, Sölden has managed to maintain a traditional appearance and many rural areas. The nice Wiesenblick Haus Bed & Breakfast awaits you in a beautiful location near Sölden, an important winter tourist resort. 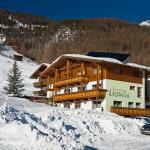 Near the hotel you will find numerous ski lifts and ski schools. 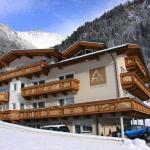 The Andre Arnold, charming 3 star family run hotel, awaits you in a friendly atmosphere in the heart of Sölden. 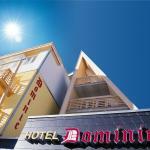 This traditional Tyrolean hotel will please you for its hospitality and attention to detail. Elegant 3 star hotel, Garni Fiegl Hotel enjoys a quiet and sunny position not far from Solden. The hotel, recently renovated, has an elegant spa. 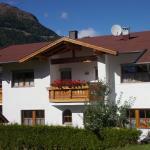 Pension Jaqueline is located in Sölden, renowned winter destination for skiing enthusiasts. The structure awaits you a short distance from the cable car of Gaislachkogel. 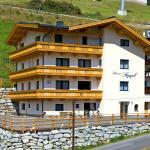 This luxury 4-star hotel is located south of Kaiser in the Ötztal valley, a few kilometers from Sölden. A Casa Appartementhaus, furnished in alpine style, is a great way to spend an open air holiday.